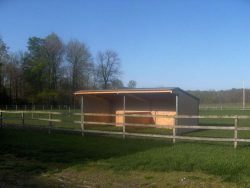 The Wrangler run in horse shelter is our newest building, designed with horse lovers in mind. Contact us for pricing on other sizes. 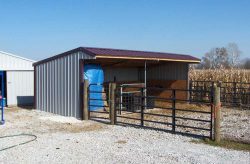 Constructed out of the same 10 gauge galvanized steel as the Maverick, it has that classic “salt box” roof that looks great in your pasture. 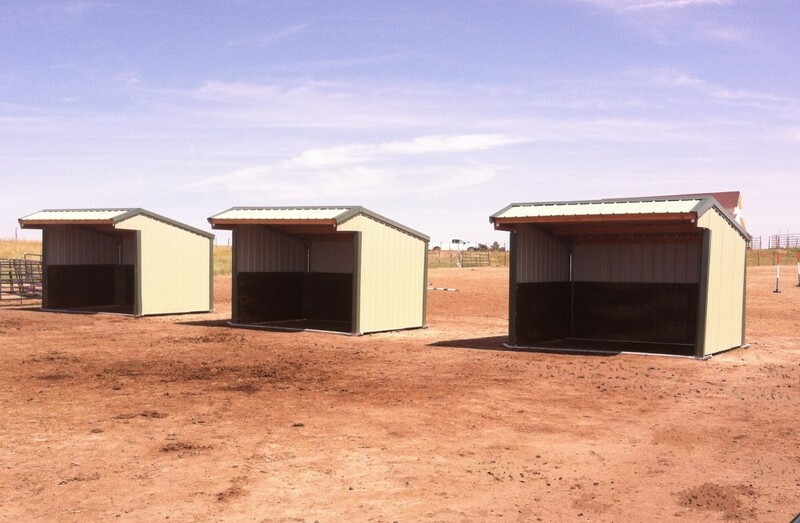 Since its introduction in 2008, the Wrangler has outsold our Maverick building 4 to 1. 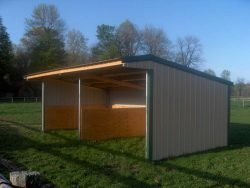 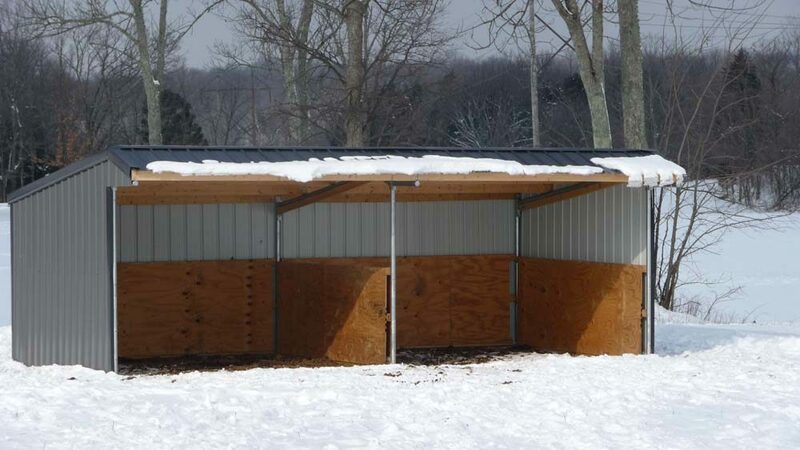 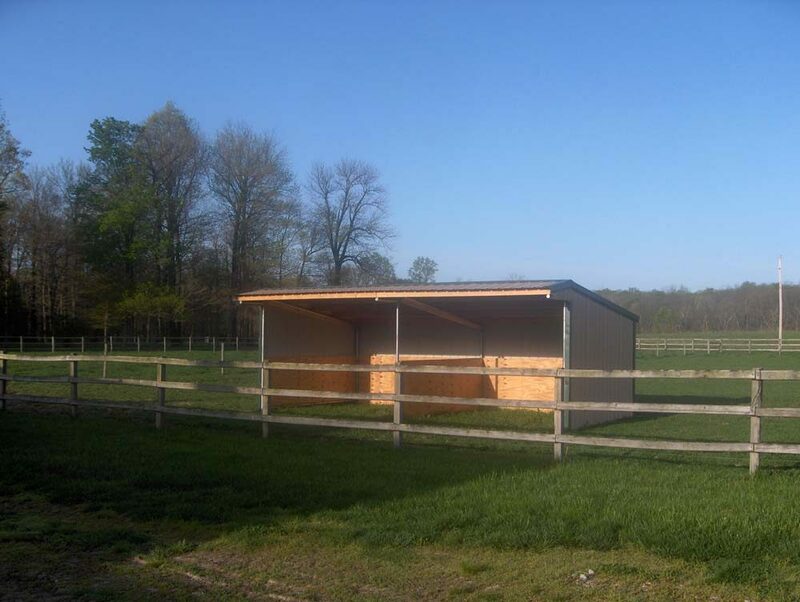 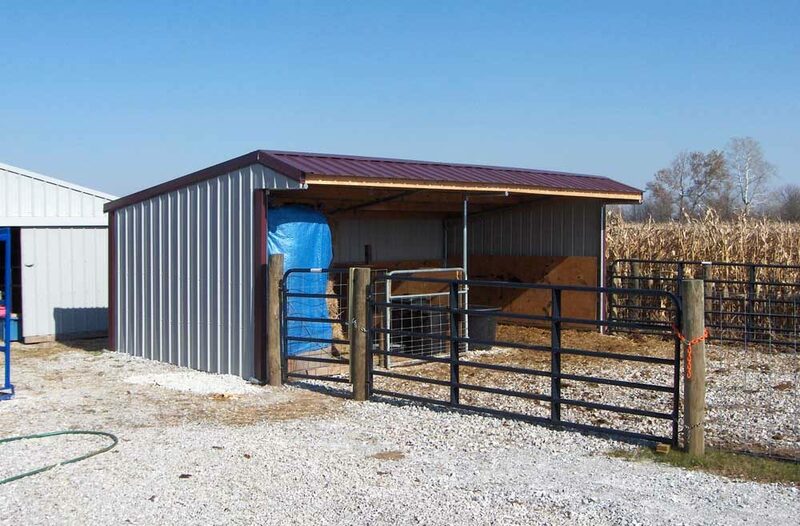 The Wrangler run in shelter has everything you need for your horses with the portability that makes it so desirable. 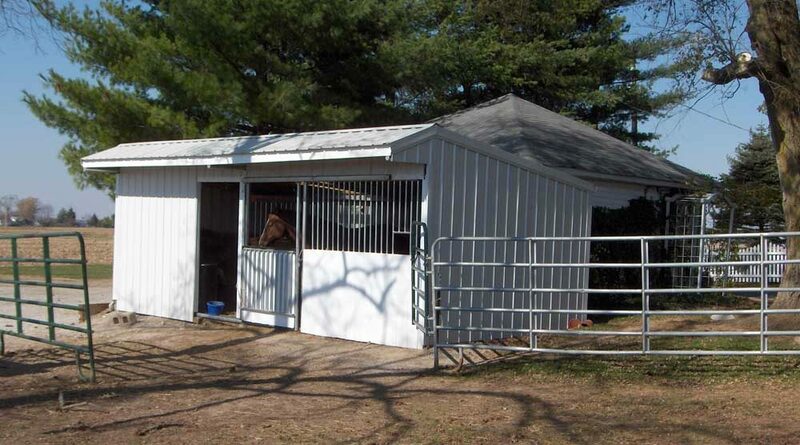 Just hook onto the runners and drag it from pasture to pasture as needed. 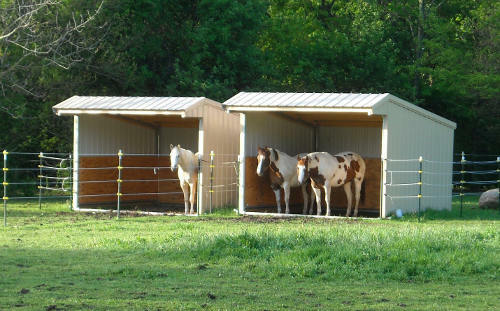 The Wrangler also comes with a standard 4’ divider wall every 12’, to give your horses the extra protection they need. Unlike wooden structures that will lose their integrity more and more after each year, our buildings will not. The Wrangler is built to withstand the punishment that your horses can dish out, for not just years, but decades! 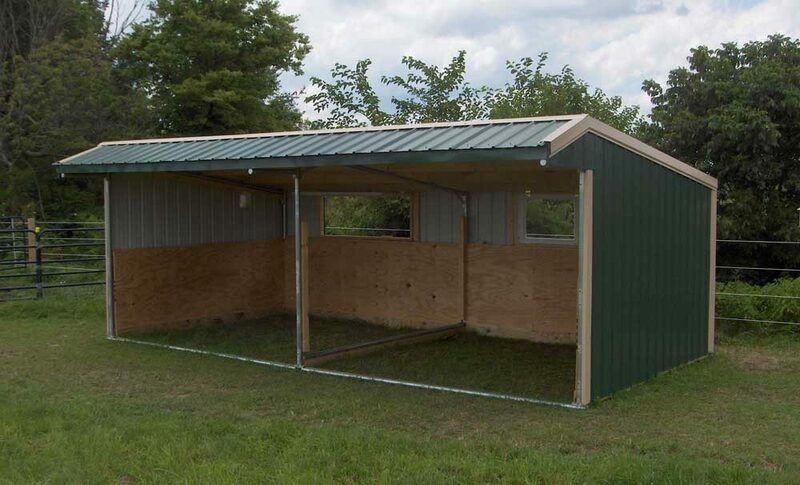 Available as frame only or complete DIY kit! 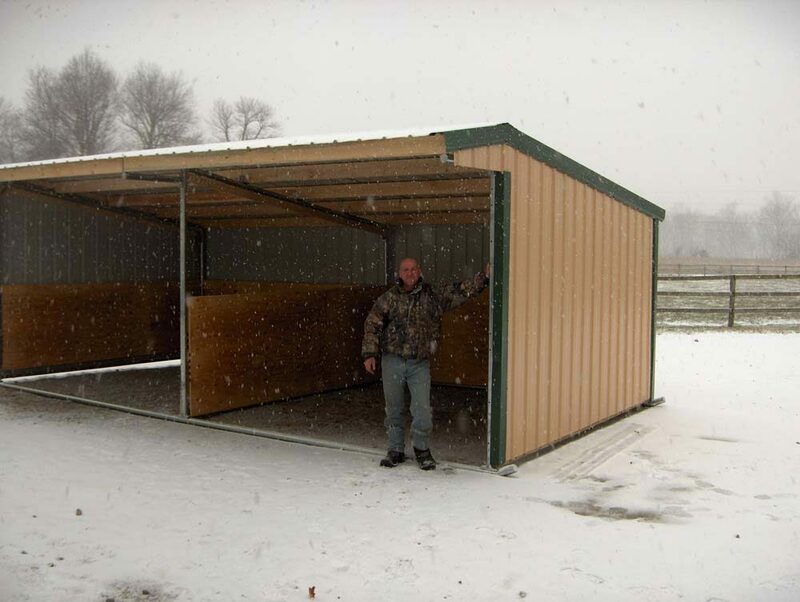 Extra framing can be added to make stalls out of any or all sections. 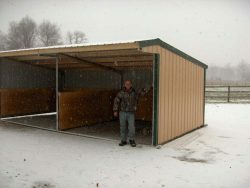 Stall doors and grill dividers are not supplied, but the Wrangler will accommodate most of them. 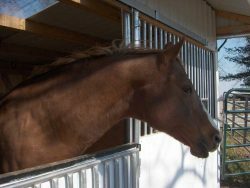 The Wrangler comes with a 9’ peak and a 7’ back, but if you want a little extra head room for your draft horses, we can make it a 10’ peak with an 8’ back. 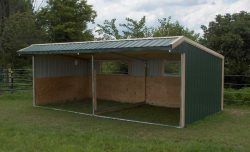 We can also do a variety of kick boards to satisfy your needs. 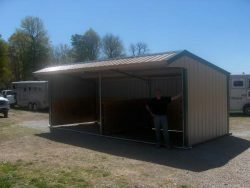 There are multiple ways that you can finish your Wrangler building, but one thing’s for sure, when you’re done, you will have the longest lasting, most durable and most portable run in shelter that you can find anywhere.